They say that change is as good as a holiday. 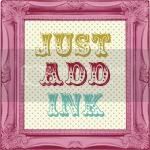 Well, I hope so as I embark on this new and wonderful world of blogging and being a part of all that is Stampin' Up! After 2 years of yes, no, yes, no, a lot of persuasion and a lack of accessible craft items where I now live, I finally joined Stampin' Up! While I am a little dismayed at the lack of people I know to be creative with I am slowly expanding my world and the people in it that are now around me, so let's hope I find some people to share in the creative elements I love. Otherwise I just might have to have regular visits from my friends in Canberra and make it days and nights of wine and craft! My lovely box of goodies - otherwise known as the starter kit arrived and my son Noah and I opened it with excitement. Though he did tell me that although he knows I do love the things in it, it's not quite as interesting as Lego, or Cars. We popped it all away and then hit the catalogues to drool over all the things we just might need.